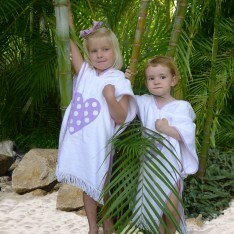 Hooded towels are extremely handy to have around the house; especially if you have kids. These are simply bath towels that have some extra fabric added to one edge so as to create a hood. 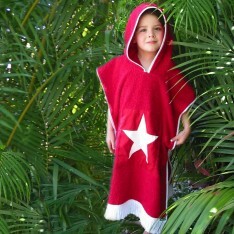 Kids hooded towel is very popular with children of all ages as they just love wrapping themselves in such ‘special towels’ and escape into their world of fantasy. In fact, many manufacturers will even customize the hooded towels for your kids by engraving their pet name, favourite character or some fun drawings through beautiful embroidery. 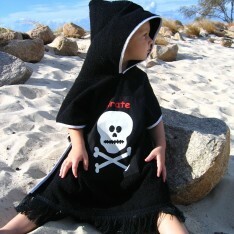 Kids hooded towel are not only popular with the children at home. Rather, they would love to carry their own towel to vacations and other places; especially the beach. This is primarily because, apart from the fun factor, hooded towels are extremely comfortable too. Since hooded towels are mainly used to carry babies and wrap toddlers, they are made from super soft fabric that creates a natural feeling against the child’s soft skin. 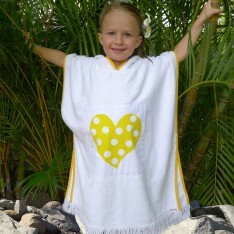 Kids just love to snuggle inside their hooded towels and also get dry naturally in the process. The soft absorbent fabric of the towels absorbs any excess water clinging to the skin without much effort. 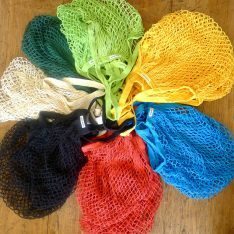 Carrying a kids hooded towel to the beach can also be beneficial in several ways other than adding to the fun factor. The beach is the perfect place for children to frolic around without caring for their health. As a parent, you too love to indulge your little ones while at the beach. But while the kids just love to splash in the water whenever they want, they can be equally susceptible to catching a nasty cold when they come out of water. The hood of the kids hooded towel can be the perfect cloth to protect your child’s head from being exposed to sudden draughts. This way, he will not catch cold even if the entire body is wet. The expansive beach is a place where there is little presence of shades to protect you and your children from the harsh rays of the sun. While adults have a higher level of tolerance, children are naturally more susceptible to sunstroke. It does not take long for a child to suffer from sunstrokes; sometimes it can happen so fast that you will be taken completely off-guard. Rather, it is better to protect your child by wrapping him in kids hooded towel. 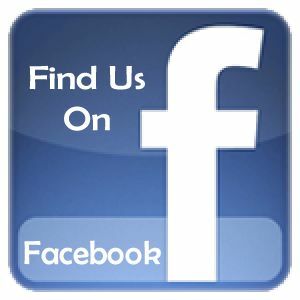 This way, your child can enjoy his time at the beach without you having to worry about his health. Beach vacations require specific accessories that include loads of towels. Naturally, you have to drag around lot of luggage that is certainly not easy. You can ease your load somewhat by replacing regular towels with kids hooded towel as then you will not have to carry separate towels for drying your body and your hair. The same towel can serve both purposes thereby making additional space for some other accessories that you were leaving behind.